Around 1850, Antoine Cattin established a wine estate that latter became Joseph Cattin. Today the estate is operated Jacques Cattin, engineer, agronomist and winemaker, and his wife Anaïs, who is responsible for the international sales department. 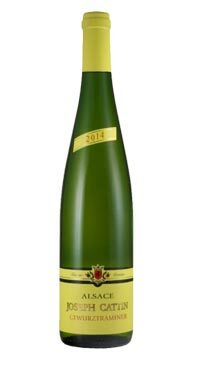 They craft varietal wines that are pure expressions of the Alsatian style. Rich gold in the glass. Complex and exotically spicy nose with flavours of lychee, mango and rose on a round and luscious palate. The perfect wine to pair with aromatic and spicy Indian and Thai dishes and delicious with strong cheeses.